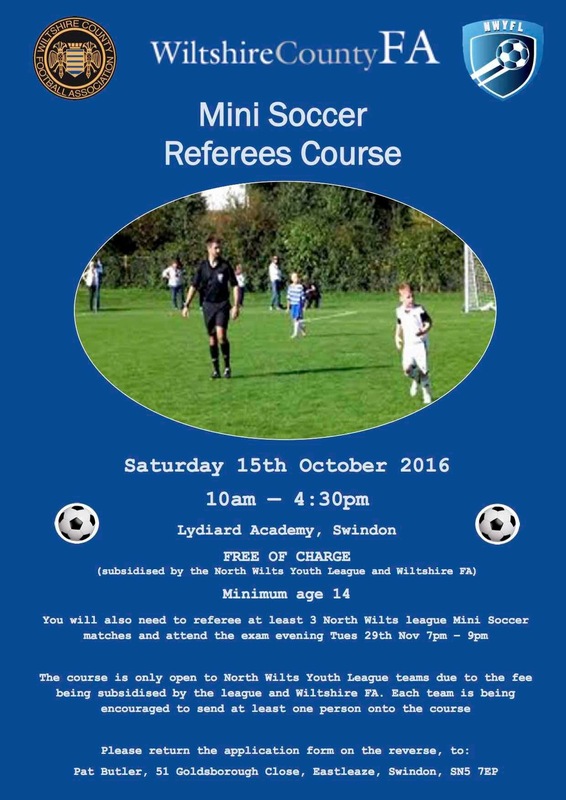 **Mini Soccer Referees required**Calling all U7 and U8 parents! The FA have requested that we recruit parents in these two age groups to volunteer to referee for their children. It would not need to be every week, in fact the more parents the better so we could have a rota system and training would be given via a short FA course (details below). Please contact me at chair@myfc.me.uk for further details.